You are here: Home / News / Visa / Visit Visa / How To Make Payment For Exit Re-Entry Visa Fee ? How To Make Payment For Exit Re-Entry Visa Fee ? Now a days it takes less than 2 minutes to issue Exit re entry visa for family and this can be done from the ease of your home or office from laptop or even mobile. There was a time, when you had to go the bank, stand inline to make payments for various government services. Now with coming of online banking and modernizaiton of Jawazat by implementation of Abshir online portal has become easier than drinking tea. That provided you know the process. We have given step by step process with pictures to make sure you will finish payment with such ease. For purpose of demonstration, SABB website is used. However, the steps are similar in other bank portals. For Visa Duration you will get list of days starting from 30 days to 1080 days. However, kindly note that you cannot issue visa more than 360 days. If you will get error as shown below. Also, check the amount if it matches the number of days you want. If all the details are correct, then confirm the payment. You will get the confirmation screen as shown below. Once the payment is done, it usually takes few minutes to reflect in Abshir account. 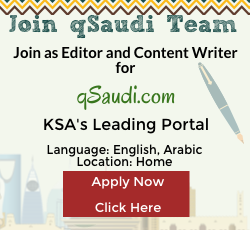 https://qsaudi.com/wp-content/uploads/2016/10/how-to-make-pay_817_3576c6fa7d7137d36fb93897ece659f4ae560c39.png 252 484 SaudiExpert https://qsaudi.com/wp-content/uploads/2013/12/qs-logo-1.png SaudiExpert2016-10-06 18:07:522018-09-01 15:24:24How To Make Payment For Exit Re-Entry Visa Fee ?